I had the privilege this week of attending the National Awards Dinner for NAB’s Schools First Program and was impressed to see one of our own State Youth of the Year winners, and her local Atherton Lions Club, acknowledged in the inaugural awards. Brooke Snow took out one of 5 first prizes for her idea to get more young people involved in community service. Brooke‘s idea is to partner with the Atherton Lions Club and others in order introduce as many students as possible to local community organisations in the area. She has envisaged a program which she will call Community Connect. Her plan is to assign students from each year level in the school to a community group. Her hope is that they will not only attend regular meetings and recognise the inspiring work of the members, but also become active members themselves. Of course, Lions who attended the Launceston Convention will know Brooke who was the Queensland Youth of the Year winner for 2011. After the Youth of the Year win, Brooke was revved up to make a difference in her community, and the Schools First competition was the next step. Schools first provides financial recognition of success in establishing effective school-community partnerships; and financial support to build stronger school-community partnerships. One of the newest element of the Schools First Program is to acknowledge young people with great ideas on how to build partnerships between the school and the community. The winners receive a prize pack including $2,000 to implement their plan to build great community partnerships. Atherton Lions Club President Terry Clark spoke highly of Brooke and her work, and is absolutely convinced that Brooke and the Club will make the project work next year! Look forward to many more young people getting involved in the Atherton Club next year. Congratulations Brooke and the Atherton Lions Club and our thanks to NAB who sponsor the Youth of the Year program that inspires more than 2000 young people around Australia each year. I applaud Brook who along with the others was a fantastic and deserving finalist – but she was not the winner. 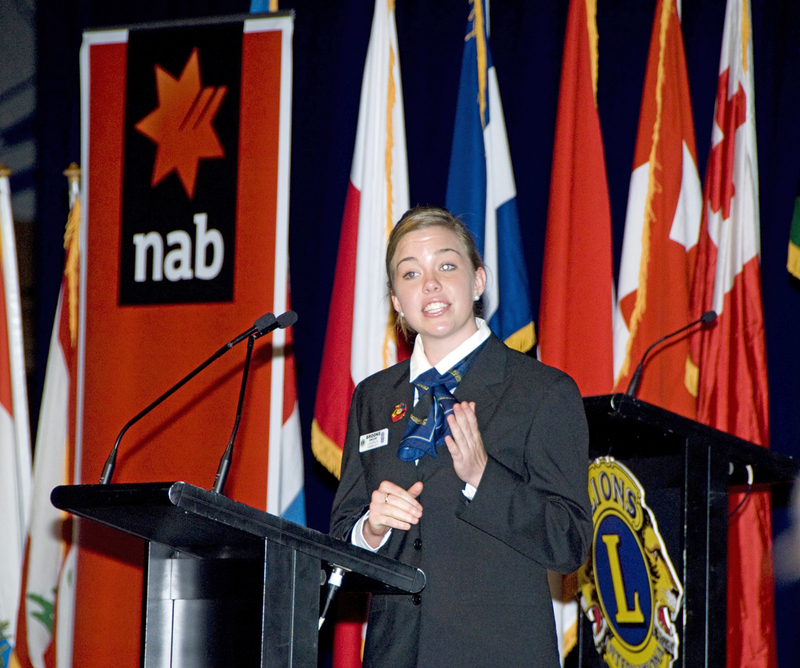 Gillian Mahoney from the Claremont/Nedlands Lions Club in Western Australia was the NAB Youth of the Year winner!!! How about an article about her? Thanks Paul. You are correct about Youth of the Year, but Brooke was a winner of the NAB Schools First Program. We would love to hear more about Gillian.